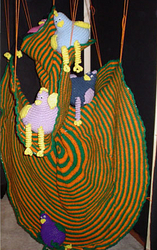 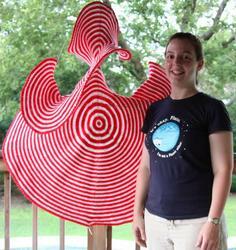 See more images of Craig's Lorenz manifold and information on his stuffed chickens. 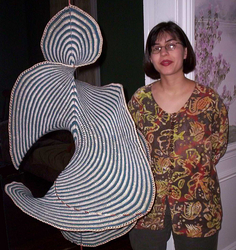 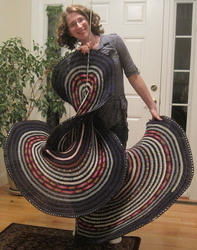 Co-organizer of the AMS Special Session on Mathematics and Mathematics Education in Fiber Arts. 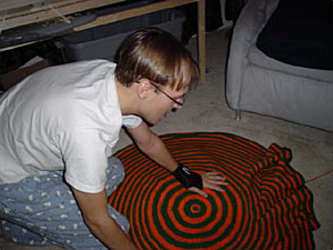 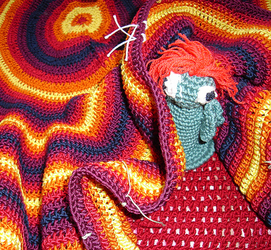 There is an entire slideshow of the crochet process. 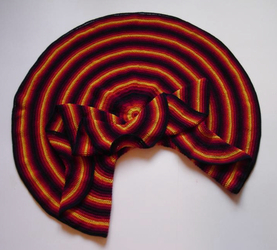 Snuffykin wishes to remain anonymous, but does have a website dedicated to the project. 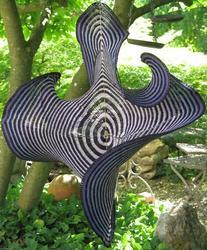 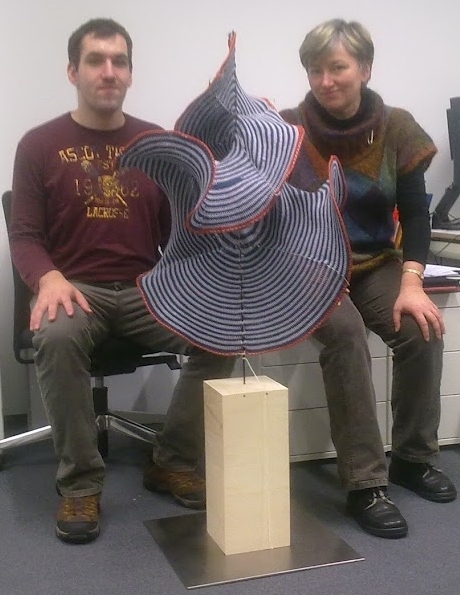 View the video about her Lorenz manifold. 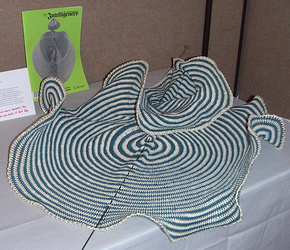 Michael Klöppel (Ilmenau University of Technology) attended a public lecture at his university, given by Bernd Krauskopf in May 2008. 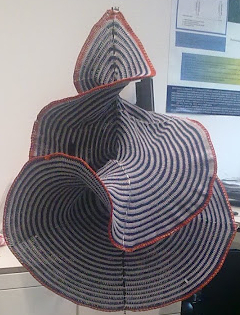 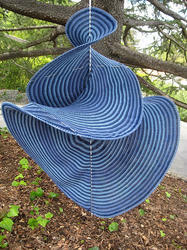 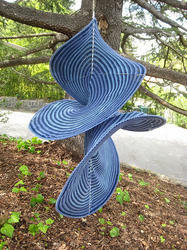 When he saw our crocheted Lorenz manifold, he asked his mother to crochet one for his office in Engineering Sciences. 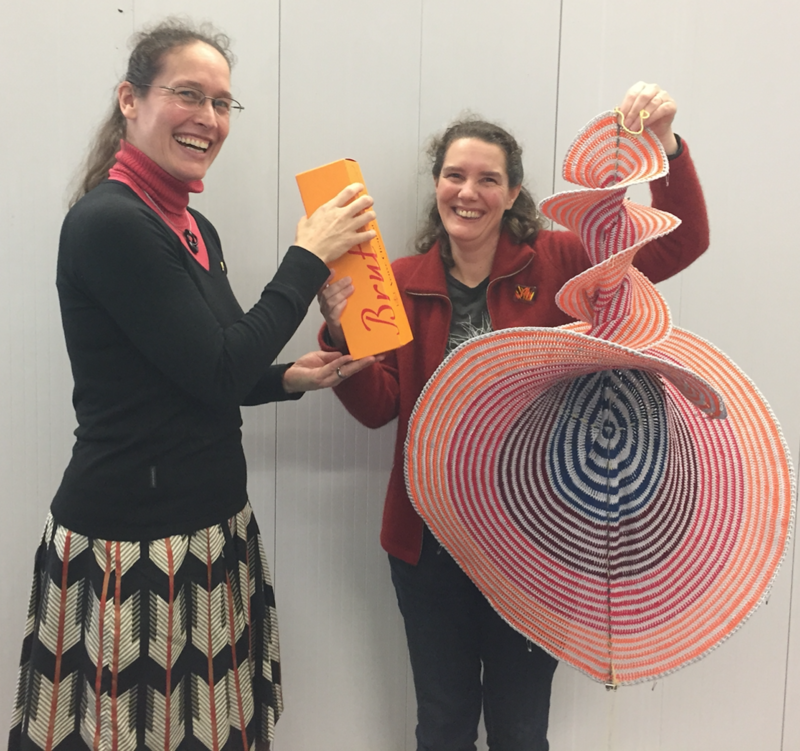 Kate (@upsidebackwards) took up the Crocheted Lorenz Manifold challenge at the Maths Craft Festival 2016 and is the first person from New Zealand to crochet one. 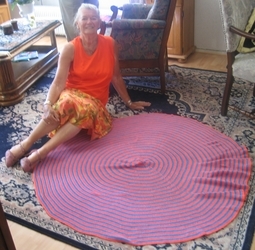 In April 2017, she was honoured for her creation with a bottle of champagne. 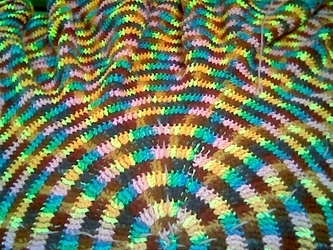 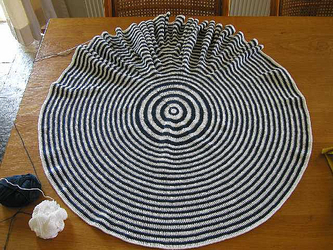 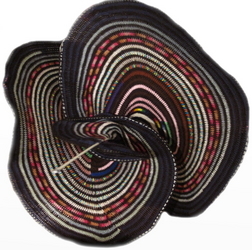 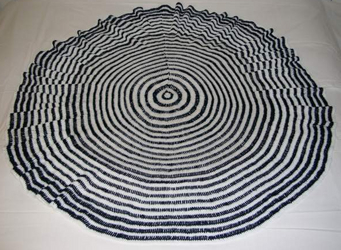 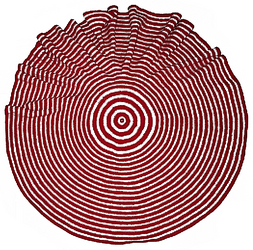 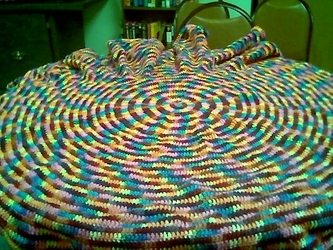 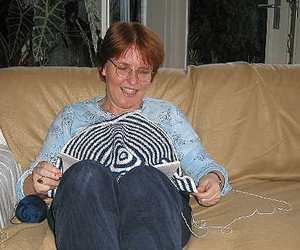 If you have crocheted your own Lorenz manifold then please email us your photos for inclusion on this web site.